As the ground thaws and warm weather draws near, it's time to start dreaming about what to plant in your flower garden this year. Whether you're shopping for seeds online or at your local garden center, consider the following pointers to make seed purchases that will lead to the beautiful garden you envision. It can be overwhelming to approach the seed section at the garden center or the pile of seed catalogs that show up in the mail. How do you choose from the hundreds of varieties that are available? To make it easier on yourself start with a few basics and then branch out from there. First off, consider whether you want to grow annual or perennial flowers. Annuals will give a quick burst of color, but do not persist for more than one season. Perennials usually grow more slowly and may not flower until their second year. Germination is also slower and less reliable with most perennials. 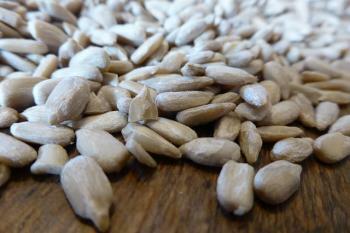 Also consider if you will be sowing the seed directly in the ground or starting it in flats indoors. Flowers with extremely small seeds are easier to get started in flats while large-seeded species often give good results by just popping them right in the ground. Most importantly, however, make sure you are buying seed for flowers that are well-adapted to your region. In theory, local garden centers would only offer seeds that do well in local conditions, but in practice this is often not the case. 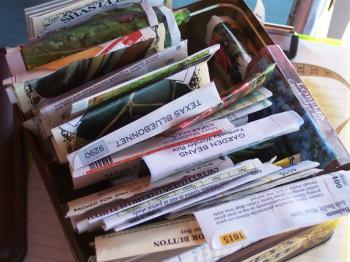 The back of a seed packet generally does not provide this information, so if in doubt, ask. The folks at the garden center can advise you and point you to books that list the species best adapted to your region. Since most seed companies are national in scope, they are not always well-equipped to tell you what does best in your area. You can always consult with your local cooperative extension service office which will likely have handy lists of which flowers grow best in their jurisdiction. All else being equal, how do you know which seed company to go with? One thing to keep in mind is that you often get what you pay for, but the bottom line is to start with things that you know can be grown reliably in your area and then perhaps experiment with a few intriguing varieties just to see what happens. Economy seed packets often have low germination rates because they don't screen their seeds for quality as vigorously as the high end companies. If you're looking for seeds on a budget, check out Cheap Seeds. If growing rare heirloom varieties or using only organic seeds is not important to you and you want to avoid economy packets, then a mid-range seed packet is probably your best bet. Burpee is a good example of a seed company that meets these qualities. With some of the high end companies, you're paying for their specialized knowledge of unusual varieties or their commitment to organic practices. You can always grow your seeds using organic practices in your own garden, but if you want to buy from a certified organic seed company, you'll have to pay a premium. 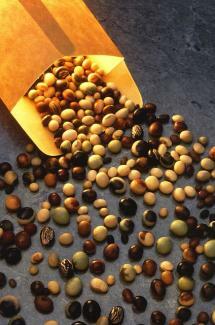 Check out Seeds of Change for high end options to add to your garden. It's okay to buy all the flower seeds you will need for the coming year at once, but try to limit yourself to those you think you will actually use. Most seed packets come with enough seed that you will have plenty for several seasons anyway, but they do have a shelf life (usually two to three years) and it's very easy to end up with more than you need. Gardeners often stock up on seeds in late winter, but remember that different varieties of flowers germinate best at different times of year. Among annual flowers there are warm season species and cool season species. The back of each seed packet generally has a map showing the approximate planting dates for various areas of the country. Victory Seeds has a handy online guide for each state to find out exactly when the average date of last frost is in your city. Flowers with really big seeds may only have a few seeds in each packet, meaning you may have to buy more than one to grow the quantity you desire. One advantage to buying seeds from online catalogs is the number of seeds in the packet is usually listed, but the seed packets themselves rarely contain this information, leaving you guessing when purchasing them in a garden center. You can squeeze the packet to get a general idea of how many seeds it contains. Most flowers seeds are very small, however, and you will have all you you need for several seasons from one packet, unless you are broadcasting them over a large area. For extensive meadow-like wildflower plantings, where you'll be broadcasting seeds en masse, rather than planting individual seeds, you'll need to know how many ounces or pounds of seed will cover a given area. Some garden centers have a section devoted to bulk quantities of wildflower seed which will generally be labeled according to ounces per 1000 square feet, pounds per acre or other similar designations. While some garden centers have knowledgeable staff to advise you on such matters, one advantage of shopping online is that you can call the company and are generally assured of reaching someone who is an expert with growing the types of seeds that they carry. Buying seeds is one of the great joys of planning a flower garden. The investment is small for the rewards that come from it, but try to temper the impulse to chose based on the beautiful pictures on the front of the seed packets and consider how much space you have to garden in, how much time you have to care for your garden, and get to know the flowers that actually grow best in your region.